This locomotive was built according to American war construction principles. In Holland as well as in Belgium you easily fall in love with steam locomotives. We visited a Steam Festival in Maldegem, in Belgium. It was a show memorizing the end of WW2. 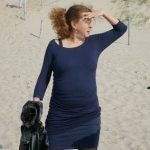 In this blog I show you photo’s of this festival; pay attention to the function of the railways in WW2; tell you about upcoming events and show you the way to Railway Stations from which ancient trains powered by steam locomotives offer a regular service in summertime. The city Hoorn 70 km north of Amsterdam is the hometown of a fanatic group of volunteers maintaining, restoring and operating ancient trains. Thus guarding our industrial heritage. The volunteers are organised in Foundation 162. They renovated and are the proud owner of the War Department No. 33 Diesel Locomotive. 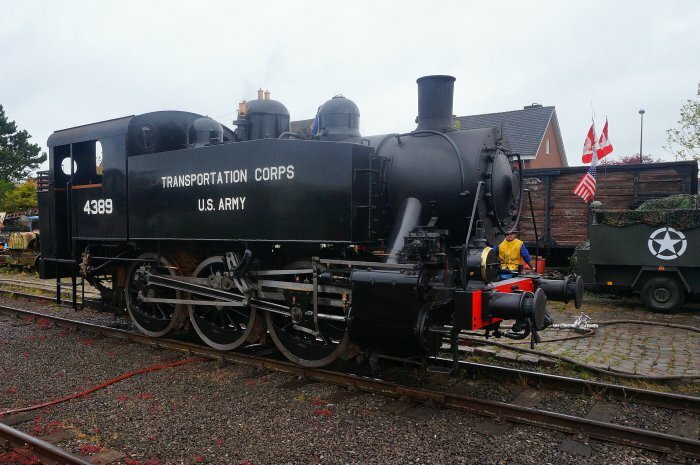 An authentic American locomotive of the US Army Transportation Corps, built specifically for the liberation of Europe in 1945. The locomotive is named “The Enter”. It was the first locomotive to be put ashore through the strong surf on the Normandic coast. Visit the “Museum Stoomtram” when you pass by Hoorn or Medemblik and book a historical ride through the countryside. If you’re lucky you will see the War Department No. 33 Diesel Locomotive passing by on a track. From the city Stadskanaal in the North-East of Holland a museum-train is running all summer. The enthusiastic volunteers relentlessly organise vaporizing events.. Address: Stoomtrein Stadskanaal Stationsstraat 3, 9503 AD Stadskanaal. Goes, a city in the South-East of Holland, is the hometown of a museum-train with impressive steam-locomotives among which a Wittouck, a steam locomotive SGB 3 ‘Bison’ and the “Enter” a steam machine with a Davenport engine. Address: Stoomtrein Goes Albert Plesmanweg 23, 4462 GC Goes. WD33 on the line Hoorn-Medenblik. Locomotive WD33 passing a windmill in Holland. “War Department 33” WD 33 Locomotive on its way to Belgium. The main building of the Railway Station of Maldegem is an excellent restaurant offering a variety of Belgian beer and a good view on the platform from which the steam locomotives leave. The Steam Centre Maldegem maintains a regular line. Volunteers keep up the trains and run them. The train runs on Sundays and public holidays from 10 May to 27 September. Book a hotel near Maldegem and take this train through the lovely countryside of Flanders. Maldegem is in the city triangle Sas van Gent, Bruges and Ghent. Address: Vzw Steam Center Maldegem , Stationsplein 8, B-9990 Maldegem, Belgium. Lady taking the coals out of the fire. The heart of ech steam engine is a coalfire. The Steam Center Maldegem in Belgium organized in May 2015 the “Rail – Road to Victory Festival”. A reeky festival with seven steam locomotives. The festival was part of the celebrations to commemorate the end of the Second World war 70 years ago. In the area of Maldegem was fought fiercely during World War II. May 1945-May 2015 is a period of an awesome 70 years of peace which come to a climax during this jubilee. The Steam Center Maldegem celebrated this jubilee and made a tribute in particular to the Railways and their role during the liberation of Western Europe from the Nazi’s in 1945. Unfortunately the Germans used a Railroad Plough as they retreated destroying the infrastructure. But the railways were repaired quickly and in the UK about a thousand locomotives were assembled and transported to the continent during the operation Market Garden. Germany used a “Schienenwolf” to destroy the Railroads on their retreat.. Taking the locomotive for a ride. Are you interested in the destination of former railwaystations? Well, Station Homburg offers a low buget hotel in their restored wagoons.